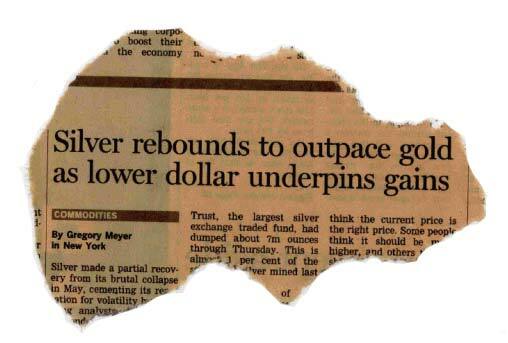 The weekend edition of the Financial Times (May 28-29th 2011) reports 'Silver rebounds to outpace gold…' with the article citing "Silver made a partial recovery from its brutal collapse in May…but puzzling analysts". Yet, an Elliott Wave guideline that can be found repeating timelessly day-to-day can readily guide us through the labyrinth of ‘guesswork’ that encompasses the marketplace. When both gold and silver declined during the early part of May, a noticeable pattern divergence occurred. Gold prices unfolded into a three wave zig zag formation whilst silver developed into a five wave impulse pattern. The former implies gold remains in an uptrend when the latter suggests silver has begun a downtrend. How can this be? - these two precious metals are positively correlated. Well, the answer can be easily explained. First and foremost, one of the first lessons one can learn from practicing the Elliott Wave Principle (EWP) is that price amplitude changes will often occur in similarly tradable contracts and enough to change their inherent patterns. This means that in comparable periods, two contracts like gold and silver will often undergo times when one outperforms the other, or vice-versa. 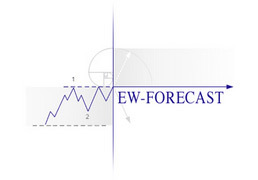 This will create pattern changes that the EW practitioner can see unfolding in the spread relationships of any pairing. Both contracts remain positively correlated, synchronising their up and down moves simultaneously, but the price extent of each varies, thus creating the pattern differences. Creating a spread or in this case, a Gold/Silver ratio chart is the ideal solution in order to understand these variances in an attempt to predict the upcoming changes. Now let’s return for a moment to the second week of May. Gold declined to 1462.10 whilst unfolding into a three wave zig zag pattern, and basis our analysis of that time, would resume its uptrend as a 5th wave in the weeks that follow – see fig #1. The 5th wave upside targets would ultimately project gold prices into a new record high. fig #1 - Gold - 30 mins. 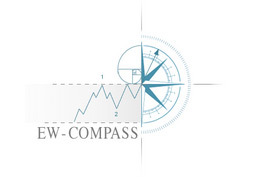 Now compare this to silver – prices unfolded lower into a five wave pattern that completed at 32.30 on May 12th, the exact date that gold formed a secondary retracement shown forecast in the previous chart – see silver, fig #2. Gold did not break below its ‘extreme’ low that completed its zig zag, yet silver has now unfolded lower into a five wave impulse pattern. Both are now required to lift higher – gold to begin its 5th wave ascent, whilst silver a counter-trend rally. fig #2 - Silver - 60 mins. The Elliott Wave guideline referred to earlier has a significant role to play because this can now help to determine the extent of silver’s counter-trend rally and whether it will grossly underperform gold whilst that makes an attempt to higher highs. The guideline is simple and it has been working every day for as long as I can remember - a counter-trend sequence will most often attempt to return to the vicinity of ‘4th wave of preceding degree. For silver prices, that means a re-trade back to 39.53 or thereabouts. The fib. 50% resistance is close by at 40.02 and so this appears a valid target. This may complete the entirety of the correction or instead may just be part of something much deeper, but if gold can be projected into higher highs, there’s a good chance silver could do even more. Viewed in isolation, it is impossible to determine the exact retracement level silver will end its counter-trend rally, but a study of the gold/silver ratio chart may help. During silver’s dramatic sell-off from its May high of 49.91 to 32.30, the gold/silver ratio began to widen again having already contracted to 30.80 beforehand (30.80 ounces of silver buys 1 ounce of gold) – see fig #3. 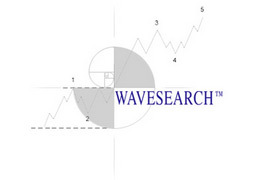 Like silver, this pattern shows a clearly defined five wave impulse pattern ending at 45.35 – the 5th wave also conformed to one of our most repetitive fib-price-ratio measurements where it unfolded by a fib. 61.8% ratio of waves 1-4. It too must adhere to Elliott's guideline, and begin a retracement and return to #4th wave of preceding degree’, an attempt back to 38.90.
fig #3 - Gold-Silver-Ratio - 180 mins. This is interesting because it means that despite silver now classified as engaged in a downtrend by virtue of its decline into a five wave impulse pattern between 49.91 to 32.30, the gold/silver ratio chart indicates silver will outperform gold during gold’s attempt to higher highs. This has certainly been the case so far, and was an obvious conclusion at the time silver bottomed at 32.30 and gold its secondary low. For some, these volatile price changes are simply ‘puzzling’, and are seemingly random movements that cannot be rationally explained. But through the ‘eyes’ of Elliott Wave, the veil can be lifted to gain insight not only in terms of price direction and amplitude, but even in determining which comparative commodity or contract will out-perform or under-perform at any given time.